Erin shares some beautiful beady finds to inspire you in this month's Peacock-themed Challenge Treasury. The more Carmi experiments with t-shirt yarn, the better her projects get! After launching a brand new clay, Resin Crafts blog has thier first tutorial featuring it. Jean reviews the elegant and beautiful book, Crystal Jewelry Inspiration, compiled by Karin Van Voorhees. Taking a winter vacation this year? If so, are you making special jewelry? 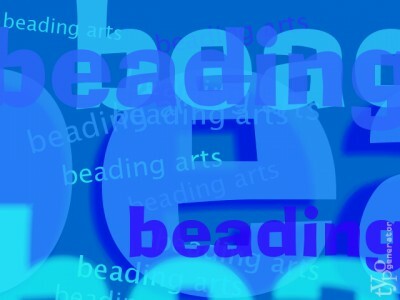 Stop by A Bead A Day blog to see what Lisa's up to. This month's designer interview includes a talk with Eileen Bergen aka The Artful Crafter. She discusses her love of jewelry and all things crafting related.